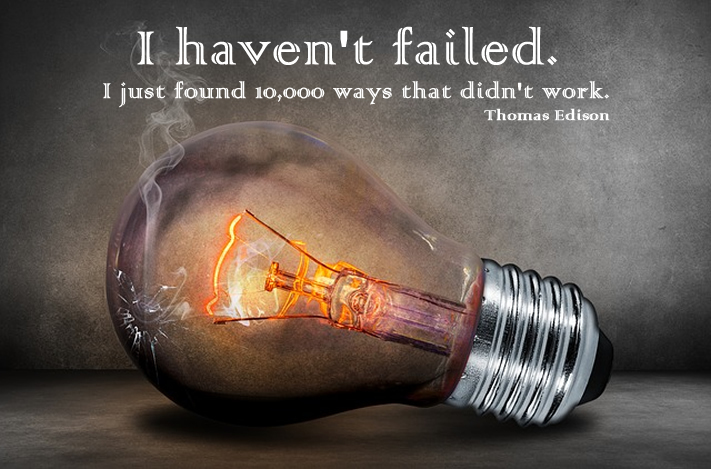 As a huge fan of Nikola Tesla, I find it difficult to give Edison credit for anything positive. With that said, I've been thinking about one of his quotes lately. It's entirely possible that this story is apocryphal and I'm simply too lazy to look up the truth. The point is that this is the essence of Growth Mindset. Rather than viewing missteps as "failures," it's more productive to view them as shining light on dead ends. A glaring problem, of course, is that education is not electricity and students are not light bulbs. Both are infinitely more complex. In grading my quizzes for Astronomy today, I began to wonder if my students were taking the same course that I was trying to teach. At the beginning of each class for the past week, including today, I asked students to tell me something that we covered in the chapter. We had a brief discussion with students eager to answer questions. I reviewed the concepts at the end of each period and connected it with what we were talking about previous chapters. Many of the answers that were returned to me on the quiz showed a complete lack of understanding of this section, and indeed a lack of understanding of many basic scientific principles. This type of response was fairly typical. I also received answers (multiple) to question 16 that read "Astronomers estimate that only about 1% of all solar systems can be detected with the photometry (transit) method." To be clear, there were many students who did quite well and were able to demonstrate a level of understanding that I think is reasonable for 11th and 12th grade students. As of this writing, more than 25% of my students have not turned in a single assignment for this grading period and only 20% are up to date. This is week 14 for the weekly discussion assignments and I'm still getting students who claim they didn't know they had to do it. A few chapters ago, I began using Science Contracts to include student choice in the assessment. It worked well for a while, but for the last 2 contracts, the quality work that I've been getting has fallen off drastically. Rather than using the options as a way to choose something that interests them, they are using it as an excuse to do the fastest assignments. It's hard for me to see that and not feel as though it's connected with the lack of success on the quiz today. By giving more choice, am I allowing them ways to not learn? I don't want to give them fewer options. I want them to find something that lets them express what they know and be creative with it. But so many of them are choosing to do ... nothing. On the 16 question quiz today, the majority of the students turned in mostly blank sheets. Is this another version of "getting a 0 for doing no work is better than risking a low grade for the work I do"? I am having difficulty feeling as though I'm doing any good. I know that there are many students who enjoy coming to my class, feel safe talking to me about the important things in their lives, and are genuinely happy to see me. I know that those are incredibly important. 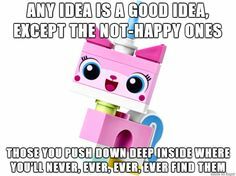 At least at the moment, trying to focus on them makes me feel a bit like Unikitty. But I must stay true to my beliefs. I must channel Edison (not the part of him that ruined Tesla and short-changed a future of amazing inventions to promote my own short-term financial goals) and view this situation not as a failure, but as a step on the path to becoming a better teacher. I want to be a good teacher.